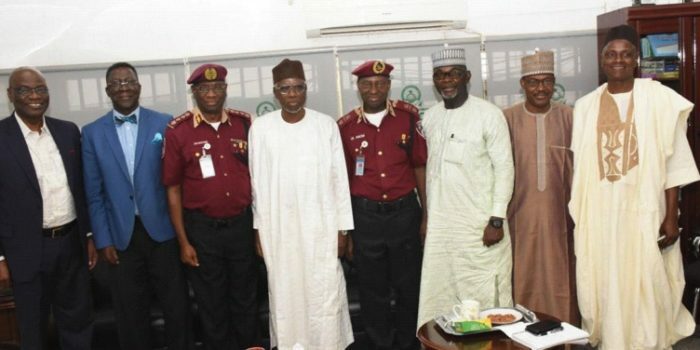 The Corps Marshal, FRSC, Dr Boboye Oyeyemi and his Entourage in a group photograph with the Executive Secretary of National Universities Commission, Prof. Abubakar Adamu Rasheed and His Team at the Headquarters in Abuja on 26th February, 2019. 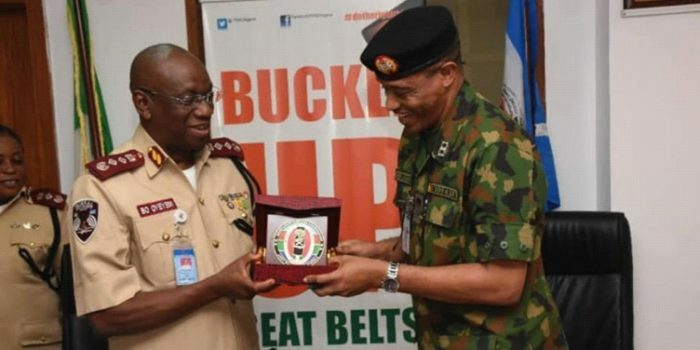 The Corps Marshal, FRSC, Dr Boboye Oyeyemi presenting a plaque to the Commandant, Army War College, Major General Charles Ofoshe during a courtesy visit to RSHQ in Abuja on 21st February, 2019. 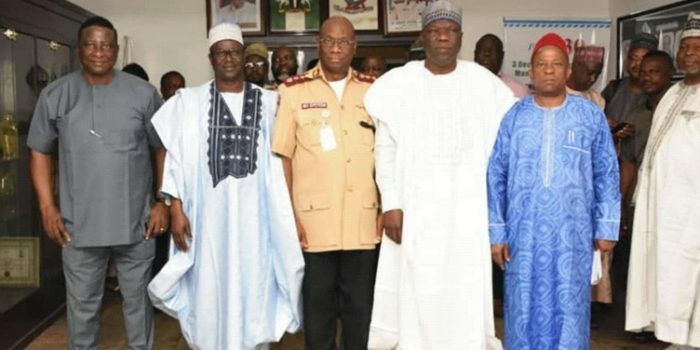 Transport Stakeholders meeting with Corps Marshal to address incessant crashes involving articulated vehicles with Presidents of NURTW, NARTO, rep of President of RTEAN and Chairman of the NUPENG PTD in attendance, on 8th Feb, 2019 , FRSC-HQ Abuja. 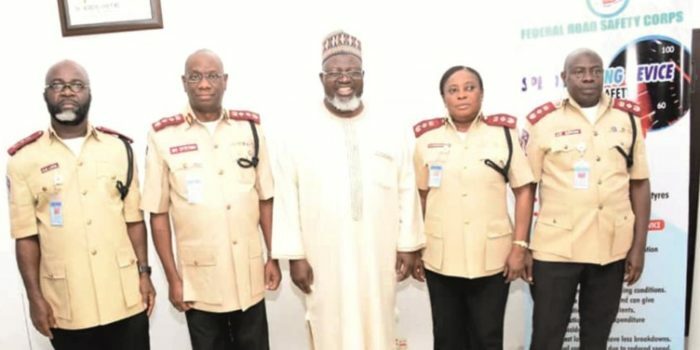 The Corps Marshal, FRSC, Dr Boboye Oyeyemi and FRSC Top Management Team in a group photograph with the Honorable Minister of Communication, Barr. 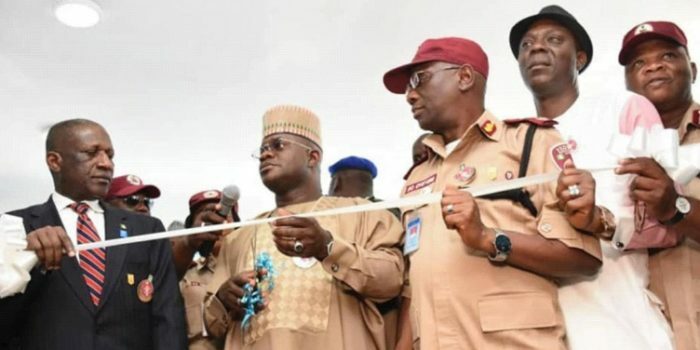 Adebayo Shittu during FRSC First Quarter Strategic Session at RSHQ in Abuja on the 1st February, 2019. 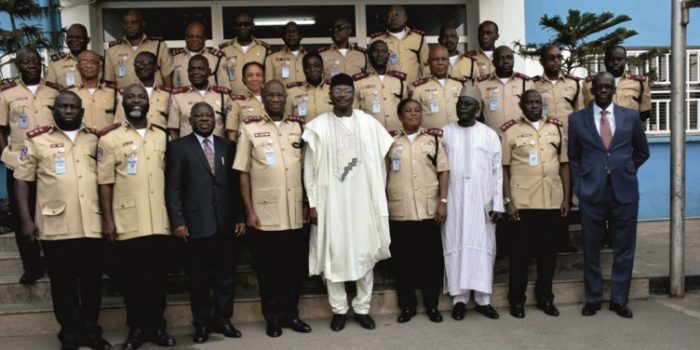 The Corps Marshal, FRSC, Dr Boboye Oyeyemi and FRSC Top Management Team in a group photograph with INEC Chairman, Prof. M. Yakubu and His Entourage during FRSC First Quarter Strategic Session at RSHQ in Abuja on the 30th January, 2019. 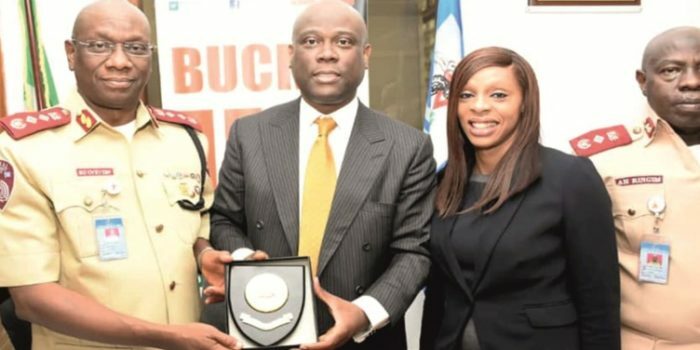 Access Bank Top Management Visit RSHQ. 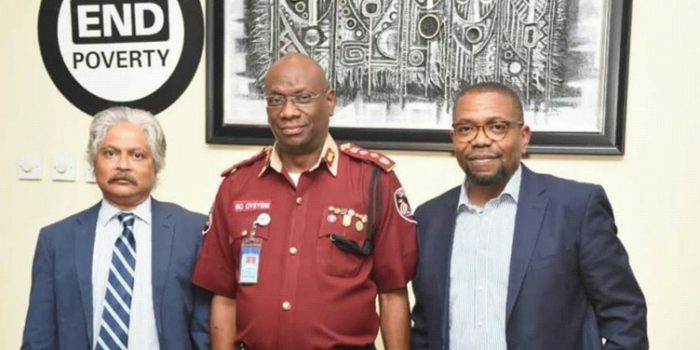 The Corps Marshal, FRSC, Dr Boboye Oyeyemi presenting a plaque to the Top Management of Access Bank during their visit to RSHQ in Abuja on 23rd January, 2019.